As most social media managers know, their job is constantly in flux. It sometimes feels like you’re switching between multiple hats in one day: from marketing to customer service to sales. Some companies have multiple social media managers while others outsource the work. Whatever your case, we will identify baseline social media skills in this article. These skills are a combination of “hard” and “soft” skills, though the descriptions don’t necessarily mean one is more difficult than the other. Both types of social media skills and attributes take time and effort to develop. Hard skills like programming and copywriting are technical in nature. Whereas soft skills like being empathetic and organized may be more difficult to analyze but just as useful in work. In fact, some companies favor hiring on soft skills because the technical can always be trained. These nine traits are a mix of skills that can be trained and are essential to the success of any social media manager. They can be a good base for what to look for when hiring a new social media manager. Once you've mastered the skills in this article, start leveraging a social media management tool to further your social success. Learn more today! One of the core tenants of what social media was built on is being inherently “social.” This means that establishing and building a digital relationship is still a treasured attribute. Community management is being able to navigate the online sphere of promoting your brand while engaging with your customers. It can mean slowly converting an observer into a customer by patiently answering questions. It can also be showing off what your customers are talking about when they post on social media. Since a large part of social media involves visuals in some form or another, having an eye for creativity is helpful. This can mean being a decent photographer, videographer or graphic designer. At the very least, you should be able to distinguish between a great and poor design. On par with being creative is also having a sense of humor and ability to improvise in any given situation. Since being creative is very generalized and can be a developed skill, there are many ways to improve on what you already know. Improvisation classes: Taking improv classes can help in managing customer service on the fly. If your company’s voice allows for it, you can inject a bit of humor into your replies. Online classes: Lynda and Skillshare, along with a myriad of other services, offer online classes on everything from writing to mobile photography. Canva: Canva has basic design classes for non-designers that you can take online to improve on your graphic design skills. We’ve all been lost in the social media cycle. You find a funny video on Facebook and then 30 minutes later, you realize that you’ve spent a bunch of time clicking around and getting no work done. 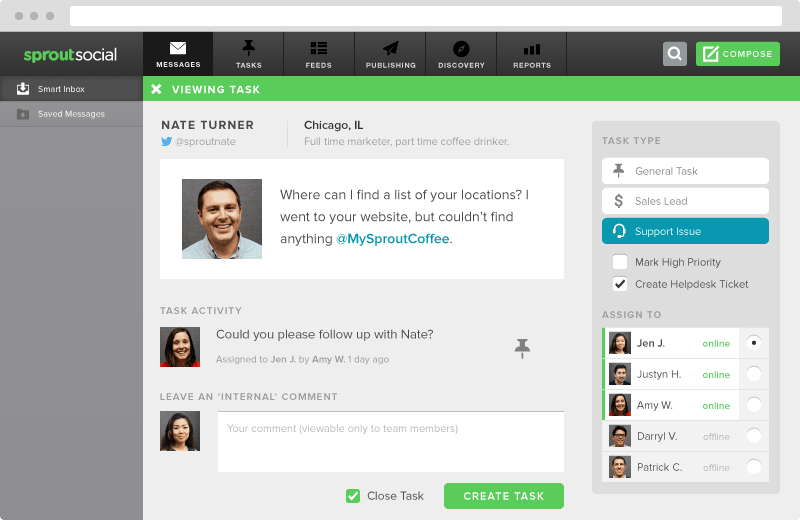 A good social media manager needs to be task- and goal-oriented to accomplish all the items on the checklist. Are you individually scheduling posts throughout the day or are you setting aside time to schedule in batches? 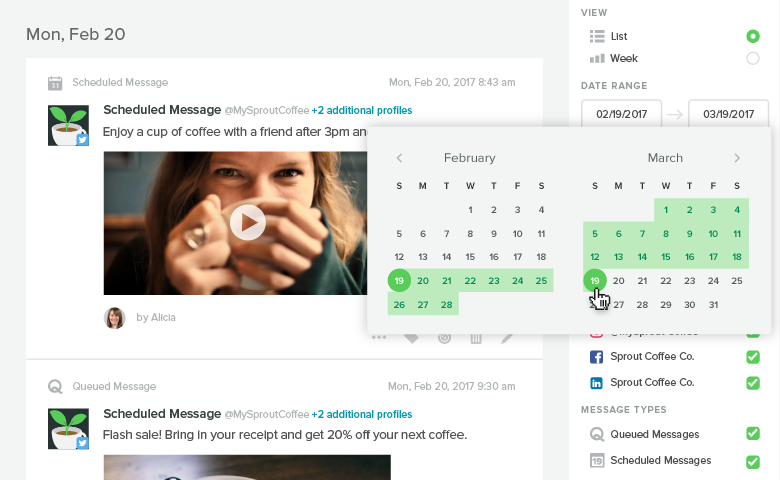 Sprout Social’s publishing calendar and post approvals help you take out repetitive actions in your workflow. Along with features like collision detection and message tagging, teams of all sizes can work smoothly within the Smart Inbox. Effortlessly plan, organize and deliver your social content and campaigns with cross-network social media scheduling. Schedule a quick call now! Because the news and social media landscapes move so quickly, being adaptive is an important trait for a social media manager. It’s not enough to be able to schedule posts. You should also be able to willing to try out new features and change up your posts to fit with what’s being discussed in the timeline. The Twitter Trends sidebar and Facebook Trending sidebar are both useful areas to keep an eye on when looking for new content. Conversely, it’s also a good idea to check a hashtag or news story before interjecting into it. 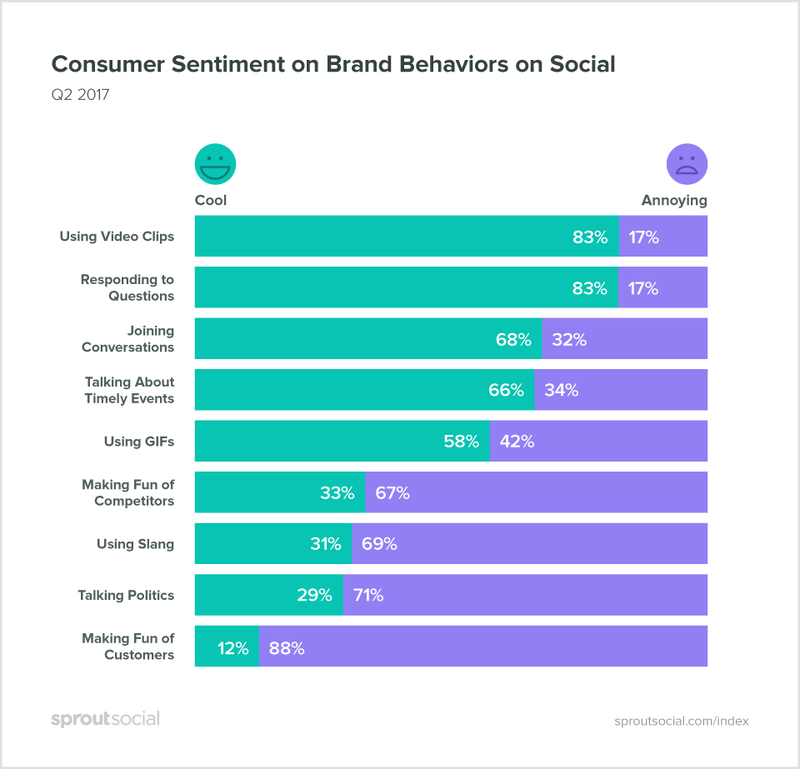 In the Q2 2017 Sprout Social Index, we reported that 34% of consumers found brands talking about timely events to be annoying. Know Your Meme: This site can be helpful in keeping up with daily development of new memes. Google Alerts: Enter keyword alerts for a variety of reason: keep up on company mentions on the internet, industry news and world news. In addition to a basic eye for design, writing is an essential skill for a social media manager. You won’t be writing full-length articles but you should know how to write short copy that can grab your audience’s attention. The ideal length of a Facebook post is 40–80 characters. Is your copywriting adjusted for each network you’re on? Social media is conversation-driven so you don’t want to hire someone who is only familiar with writing marketing copy. Sometimes the best ad is the one that doesn’t market at all. Grammarly: This standalone site or browser plugin can help check your spelling and grammar on the go. You don’t want an impactful Tweet to be marred by a simple grammatical error. Hemingway Editor: This website and app can help your writing be more concise and readable. While this is geared more for long-form writing, it can also be used for creating impactful social media posts. If your sales and marketing funnel includes social media like it should, you’ll find that sales leads inevitably fall into your inbox. Make the sales lead transfer as seamless as possible by asking for the information upfront instead of making them email you. In addition, if you offer a product or service, you’ll find yourself troubleshooting at some point. 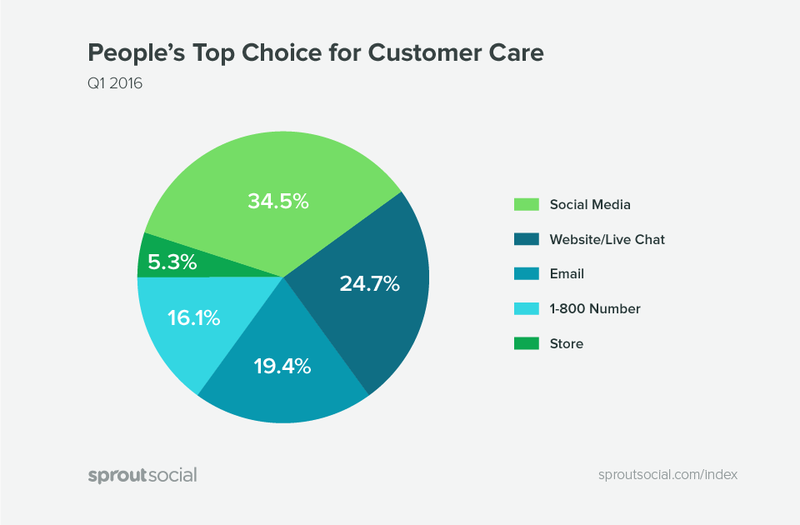 When 34.5% of customers prefer social media as their customer care option, you need to be able to navigate the waters. Being able to provide empathetic care in a short, digital format is different from in-person customer service. The social media manager should be able to clearly articulate a solution for the customer while making the customer feel heard. It may sometimes feel like you’re posting Tweets out into the ether. But if you have a documented social media strategy, you’ll be able to better navigate which posts are in line with your goals. Being strategic in your posting includes noting the best times to post, balancing marketing campaigns and keeping an eye on what everyone else is talking about. You don’t want to be the boutique who is talking about a dress special when it’ll get lost in a stream of sport game updates. In a role that may be speaking directly to a customer, you want to have some decision-making power resting in your social media manager’s hands. If there’s a customer complaint about a meal that went wrong, give the manager the option to provide a gift certificate. 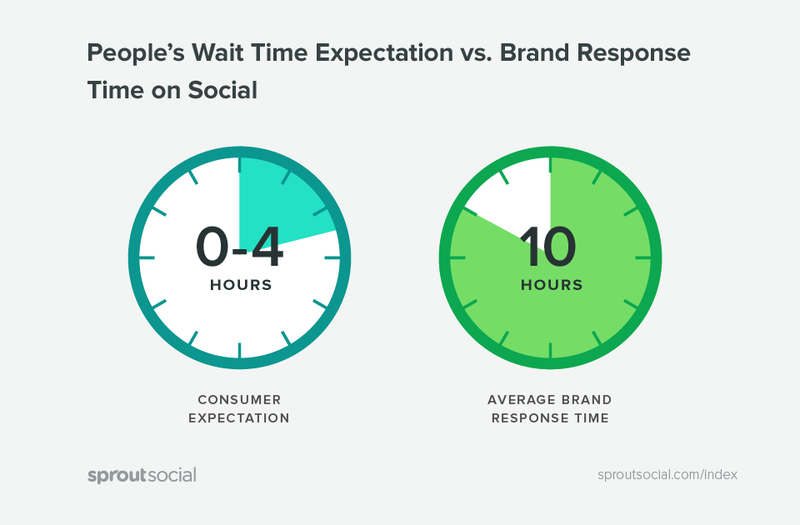 Consumers expect that brands respond to messages in less than four hours. However, brands only respond to 11% of these messages and in about 10 hours. You certainly don’t want a customer to wait around in anger while you’re asking for supervisor approval. If this is common scenario, we would recommend documenting this in your social media strategy. This will help everyone know how to offer the solution. We recommend taking a look at your monthly analytics reports to make sure you’re on the right track. It will also help you see what type of posts have been performing well. Paired with content marketing, search engine optimization skills can be handy in writing the best copy for your brand. These nine skills are the ones that will make up the most effective social media manager. If you have the resources, these can be divided up and specialized. For example, you may want to have a graphic designer or in-house photographer if you have a lot of posts that could benefit from them. Want to know what other pieces should be a part of your social team? 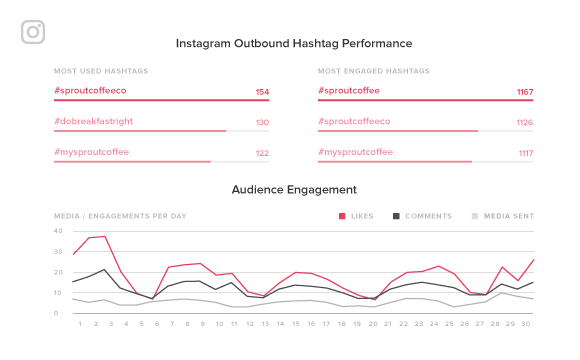 Sprout’s social media management platform makes it seamless to bring large, multi-disciplinary social teams together across content creation and distribution, customer care and measurement initiatives. Learn how to start with a brief call!